Our work to save Falklands penguins has featured in TV documentaries around the world. You can view TV documentaries featuring our work on YouTube in (ENGLISH), (GERMAN), and (SPANISH). We also featured in BBC TV's highly acclaimed series (EXPLORE). NOTE: Our work, and the events portrayed on this page, feature in BBC TV's new series EXPLORE: Patagonia to the Pampas. "Morally and Constitutionally Indefensible" is how the Supreme Court described the Falkland Islands Government's attempts to silence reports that Falklands penguins are starving to death through over-fishing. The Governor, Chief Executive, Attorney General and members of Executive Council were declared to have acted illegally and immorally in their attempts to silence a marine biologist calling for penguin protection. Attempts to silence Mike Bingham's research into penguin declines included false arrests, fabrication of evidence by the police, death threats, and an order by the Governor to deport Bingham on the grounds that he had criticised the government for not protecting penguins. The Supreme Court over-turned Governor Pierce's ruling, declaring it a gross breach of human rights for improper motives, and ordered the Falkland Islands Government to pay all Bingham's costs. Read more about the Falkland Islands Government's attempts to silence our work. This sordid tale of government corruption and greed, one man's fight to save Falklands penguins, and his historic victory over the Falklands government in the Supreme Court, is now published in paperback: The Falklands Regime by Mike Bingham (ISBN: 1420813757) is available over the Internet using the link below, or through major book shops worldwide. 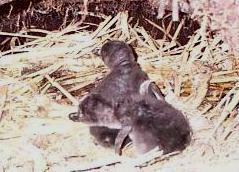 Paramount Pictures (1999) and Mare TV (2006) have both filmed documentaries about Mike Bingham's work to save penguins. Read about it here. We have also been the subject of a number of newspaper reports. 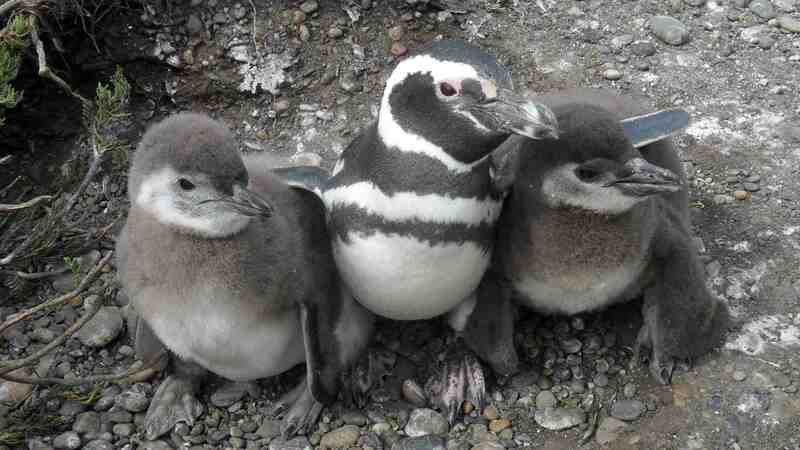 The Organization for the Conservation of Penguins, in partnership with the Chilean, British and Argentine governments, has expanded its penguin monitoring programme to cover southern Chile and Argentina. This programme monitors the effects of tourism, and compares penguin populations in Chile and Argentina, where penguins are protected from commercial fishing, with those in the Falklands where they are not. Read about it here. Visit the International Penguin Conservation Work Group website at www.penguins.cl for in depth information on penguins of the world, including an interactive map of world distribution, linking to data on every penguin species. Visit www.seabirds.org for Falklands seabird research, population reports, species guides and much more. some fresh, some partially decayed with bones protruding. All had died within a period of a few weeks during their annual moult. Their condition and weight show that they all died as a result of starvation..
1. BINGHAM (2002) The decline of Falkland Islands penguins in the presence of a commercial fishing industry - Revista Chilena de Historia Natural 75: 805-818. 2. 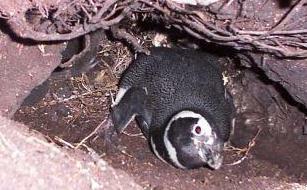 BINGHAM & HERRMANN (2008) Magellanic Penguin Monitoring Results for Magdalena Island 2000-08. Anales Instituto Patagonia (Chile) 36(2): 19-32. For people wishing to know more about our penguin research, here are some of our scientific publications. Enter your key words separated by spaces, then press the 'Search' button to search this website. For help using our search, click here. Visit our picture galleries for pictures, maps and population graphs of Falklands penguins, birds, seals and sea lions. Click the pictures below to explore. Read about the Falkland Island's Birds, Seals, Sealions, Whales and Dolphins. Investigate the plant species of the Falkland Islands. And lots of General Falkland Island Environmental Information.